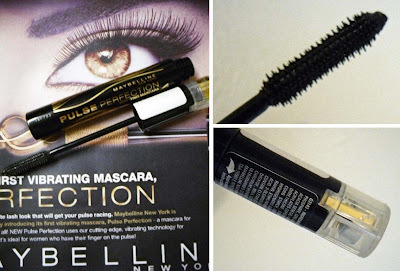 The Maybelline Pulse Perfection mascara isn't a gimmick like I expected it to be, it actually works! Before trying the mascara, I dismissed it totally even when the luxury brands launched their version as I just thought... "these things never actually deliver on what they claim to do" but, surprisingly somehow when you apply the wand to the lashes, you can see a MAJOR difference! The wand itself, looks very generic, nothing fancy. In order to use the mascara, you have to first pull back the gold label to activate it. You then push down on the raised clip when you want the vibration on, so basically you can control it yourself. Personally, I notice a huge difference, I have been wearing it for three days in a row. It's non clumping, with an intense black glossy finish. I have also had no problems with it smearing or smudging. Even my hubby commented on how amazing my lashes looked! :) It must be good if a man notices lol. I really enjoyed the application of this, however, you have to be very slow and patient whilst working your way from root to tip and let the vibrating wand do the work. I shall be doing a Li Lash update soon, you can see from my before picture that nothing that exciting is happening, it's been 5 weeks! PS: I didn't even curl my lashes as they didn't need it, and I always curl my lashes normally! Have you tried this mascara yet? If so, what do you think? wow!, it does work, does it vibrate like crazy? Maybelline sent it me the other day and its AMAZING! Everyone has been commenting on my lashes!! I need to blog about this also! Merhaba Sevgili Muhsine, blogunu tesadufen kesfettim cok hos bir blog tabi sende oylesin, basarilarinin devamini diliyorum, buarada mail atmistim ama saniyorum benim mail box ta bir sorun var geri geldi mail bana 8 June 2009 tarihli post taki yaprakli kolyene bayildim dogrusu eger bir sakincasi yoksa nereden aldigini sorabilirmiyim, belkide kendi dizaynin olabilir mi? eger oyleyse siparis verme sansim var mi? I haven't tried it, but it looks great. I love it when they're a nice rich black instead of that flat grayish black some mascaras seem to turn into after they dry. omg - thanks for the review! i have been wondering about this and so glad to see it actually works. i'm in need of a new mascara and think i will get some tomorrow! you know it's good when a boy notices!! haha.. that is for sure. looks great, though! i've been thinking about getting it for awhile now. wow I'm definatly going to have to buy this mascara and give it a try! Wow it looks really good! I think your lashes look amazing! 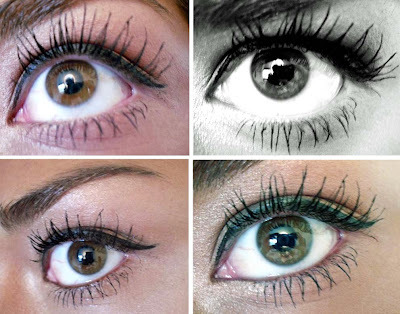 Your lashes already look long with mascara on. I use Lumigan on my lashes, and they've gotten crazy long. @Alacati Merhaba, ilginiz icin cok tesekkurler :) cok memnun oldum blogumu begendiginize.. evet mailiniz gelmedi maalesef. O yaprakli kolyem kendi diyaynim, burada bulabiirsiniz: http://lolicoco.blogspot.com/ sipari$'de aliyorum. 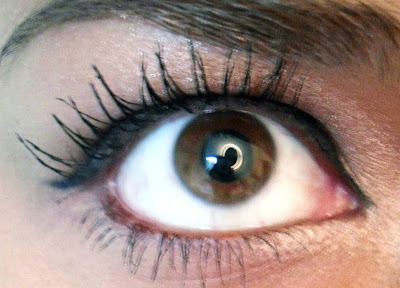 try mavala double-lash - i used it when my lashes reacted to a mascara and went from long to stubby :o( it worked!! Wow, that's amazing! I haven't even opened mine yet! I haven't opened mine yet, I have a few on the go at the moment so want to wait till I've used them up! I 'm sold on this one!!! I hear so many good things about this mascara. You can see a huge difference before and after. Its amazing. Wow! I thought this product would be a complete gimmick but it looks great. I must try it! I think it does work, but its looking quite clumpy, wouldn't you say? ive wondered about it... not enough to buy it, its so pricey!! looks pretty cool! well-defined and separated, long, but still not spidery. And most importantly, cheap! it sadly isn't on the market in Turkey yet :( I don't even know if it will ever be. btw, Muhsine, I always wondered if you're Turkish too, because I've seen you mentioning Turkish brands a couple times on the blog. I saw this mascara in Superdrug today and the "tester wand" they had actually vibrated which I thought was great as the one in Boots didn't vibrate. The actual wand doesn't vibrate as much as I thought it did.